More Australian businesses can now invest in renewable energy thanks to an expanded instant asset write-off. As a result, solar installation tax deductions are now easier to obtain. Federal Treasurer Josh Frydenberg has broadened the existing scheme in the 2019-20 Budget to include firms with less then $50 million in annual revenue. Previously it was open to those businesses with less than $10 million in yearly revenue. The instant tax write-off ceiling will also increase from $25,000 to $30,000. 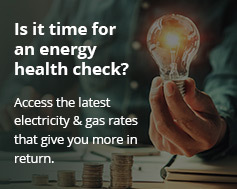 Businesses can now claim an instant tax deduction on the cost of the entire solar asset, rather than over a number of years. Small and medium sized business can now join Stockland’s Wetherill Park by installing their own solar panel systems. This means assets like solar power and battery storage systems can be fully depreciated as soon as they are bought. The scheme originally started in the 2015-16 Budget, with several extensions since then. The maximum write-off level increased from $20,000 to $25,000 in February. The Treasurer says an extra 22,000 businesses will now be eligible for the deduction under the extended threshold. The rapidly falling cost of commercial solar is encouraging more Australian businesses to install their own solar panels. Rising electricity prices is also an extra incentive. The Clean Energy Australia Report 2019 showed 45 per cent growth in commercial solar installations. It’s not only the cost of solar panels that’s plummeting. Commercial solar battery costs fell significantly in 2018, with further falls predicted for 2019. In January, financial analysts S&P Global reported a drop of 40 per cent in the cost of installed battery storage between 2017 and 2018. A global surge of close to 80 per cent is expected by the end of this year. Most firms could afford to buy a 23 – 30 kW solar installation under the instant asset write-off rules. Output could then reach an average of around 120 kWh per day. Yet more help is on hand for businesses keen to go solar. Small-Scale Technology Certificates (STCs) are available to firms installing rooftop solar PV. Issued under the Small-scale Renewable Energy Scheme, STCs are a point-of-sale discount when you install solar panels. Feed-in tariffs (FiTs) are also available for businesses that feed their excess solar electricity back to the grid, adding to the business case for installing solar panels. Previous: Mythbusting electric vehicles: Who’s telling the truth about EVs in Australia?